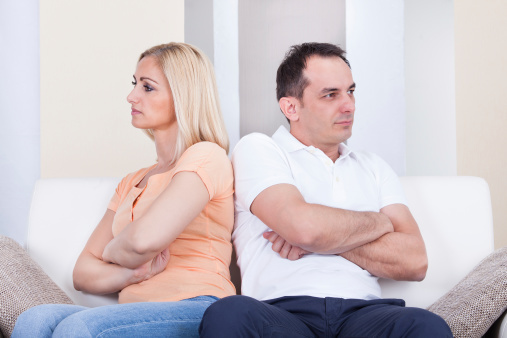 According to a new report from Danish researchers, arguing with a spouse, dealing with demands from children, and/or having disagreements with other family members and friends can lead to an increased risk of death for middle-aged adults. The study found that men and people out of work were most affected by social stress, and their risk of death was two to three times that of others who don’t experience similar levels of these private stresses. Fighting, worries about demands from spouses and family, and conflicts with others seem to have the largest health impact, and this is independent of a number of other stressors, such as chronic disease, depression, age, gender, social status, and one’s financial situation. This is interesting, because the development and nurturing of personal relationships are often associated with relieving stress and increasing overall happiness. But this study shows that these types of interaction can also cause the problems they’re considered to relieve. Overall, it really depends on the quality of the relationship. For example, if trying to get closer to someone and being more honest with them leads to more arguments, the stress it causes might actually end up hurting you. Arguing seemed to be the most harmful of the stresses, indicating that the anger, frustration, and stress people feel during an argument is more than just temporary symptoms felt in the moment. They seem to carry forward, adding to overall stress and physical degradation over time. Now, the results of this study are merely observational and don’t offer a specific cause-and-effect analysis, but they do reinforce the dangers of stress and the importance of stress reduction. Reducing personal stress can be difficult. After all, the relationships with your spouse and children can be hard to control. You can’t always meet demands or control their actions. The best thing to do is talk candidly about how you feel and discuss ways to make improvements. A conversation, rather than a full-blown argument, is still likely to cause some stress, but will hopefully result in smoother sailing over time. If these conversations don’t work and the stress continues to mount, you may need to look at your options and what’s best for you. These options might include outside counseling, abandoning certain relationships, and doing what’s necessary to limit social stressors to greatly improve your health. Of course, Doctors Health Press is a big proponent of alternative remedies, so we also recommend that you look in to such options as meditation, yoga, exercise, maintaining proper sleep habits, and even homeopathy to help you manage the stress in your life. Reinberg, S., “Frequent Arguments Might Be the Death of You,” Healthday Reporter web site, May 8, 2014; http://www.webmd.com/mental-health/news/20140508/frequent-arguments-might-be-the-death-of-you.